Today a legend in the business sent King World News a powerful piece that warns amidst the global chaos, China is aggressively moving to create a New World Order. 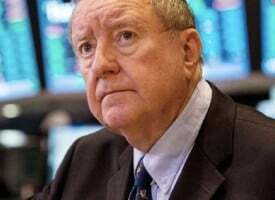 John Ing, who has been in the business for 43 years, also discussed everything from the “Death Cross,” to flash crashes and China’s plans for gold in their move to dominate the global monetary architecture. August 28 (King World News) – Is China’s surprise move to weaken its currency a step towards market reform or does it presage a widespread series of “race to the bottom” devaluations reminiscent of the Great Depression? China joins the Swiss National Bank (SNB) who earlier this year let the Swiss franc float freely to protect its exports…. Brazil too has been weakening the real for months. China’s neighbor, Japan weakened the yen after another dose of Abenomics. And what about the devaluations of the euro and yen as a consequence of the quantitative easing (QE) by the European Central Bank, and the Bank of Japan emulating of course, the Federal Reserve’s three rounds of QE which flooded the world with cheap currency. Everywhere paper currencies are under attack. Money has never been so cheap and easy to obtain. Around the world, interest rates are near-zero and among the lowest in recorded history, much to the delight of homeowners and investors. The easy money printed over the past eight years fueled bubbles abroad as well as at home with speculators borrowing cheap dollars, investing the proceeds in higher yielding securities and property from Shanghai to Vancouver. Wild currency swings are playing out in those economics that are strongly dependent on commodities. As a consequence, central banks have had difficulties holding their currencies down against the dollar and overflowing with liquidity, governments have cheapened their currencies in a series of ‘beggar thy neighbor’ devaluations, shifting the cost for other neighbors to bear. We believe that the Fed’s reluctance to pull back on the throttle, made more cautious in an election year, increases the risk of a last stage surge in asset prices and of course, further distortions of currencies. The Fed has a serious problem with the deficits and an overvalued dollar. China’s devaluation does make the much talked about Fed rate hike questionable. That prospect means that nothing significant can be done about these global imbalances, until the United States attacks its own problems. 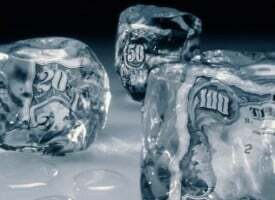 America enjoys the privilege of printing the world’s reserve currency which allows it to pay its bills with its own currency and to finance its deficits by merely generating extra dollars. Valery Giscard D’Estaing, the French finance minister under Charles de Gaulle once called the US dollar position an “exorbitant privilege” in describing the dollar as the central player in global trade. The US dollar has dominated the world’s financial system since the end of the World War II seemingly enjoying a virtual unlimited line of credit denominated in its own currency. However, today the United States has serious financial problems, owing more than they produce, resorting to printing money and debt monetization as a means to keep their economy rolling. Since 2008 the Federal Reserve has created more than $5 trillion from out of thin air. 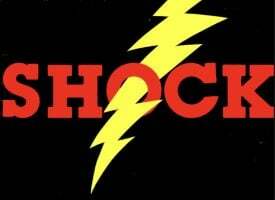 Over that same period, America’s debt has jumped 98 percent to $18.2 trillion from $9.2 trillion. The Fed has now created a bubble in Treasury bonds comparable to the housing bubble a few years ago. Worse, there is a lack of political will to take the necessary steps including raising interest rates, boosting savings or cutting deficits. Unlike the Greeks, America was able to bail out its financial meltdown with printed dollars instead of hand outs and debt. Greece’s problem caused a rush into the dollars. Similarly, when America needed oil, it convinced the Middle East players to take dollars. Laden with dollars, China has recycled their hoard of Treasury certificates by buying assets, commodities and gold after they discovered the dollar purchasing power and liquidity problematic. With the world choking on an avalanche of dollars, other countries too are looking for alternatives. America’s nightmare is that one of these days those dollar holders will decide there is an alternative, another place to put their money. We believe China has woken up to the risk of holding $1 trillion of overvalued Treasuries. They have a diminished confidence in the United States running its financial affairs, after the unprecedented financial crisis in 2008 followed by six years of economic stagnation which required them to borrow billions of dollars a day from abroad. In printing trillions of dollars, the United States cheapened not only the value of the dollar but also of their mammoth debt. America simply has become the biggest debtor in the world amounting to more than 100 percent of its annual domestic production. That dependency on outside financing is its Achilles heel. If one includes entitlements and off the balance sheet items, that debt rivals that of Greece with the bulk owed to foreigners. Instead the Chinese believe that the dollar’s privilege is no longer “exorbitant” but “extortionate”. Financial history is a roller coaster of ups and downs, booms and busts, manias and panics, shortages and excesses. Today we have an excess of leverage, a deluge of paper money, asset price bubbles and record consumer and government debt, all financed by derivatives. To be sure we live in an overvalued world. China too has gone through its ups and down and while its stock market only makes up less than 10 percent of its economy, China’s leaders know the value of wealth creation and preservation, worrying lately about the renminbi and their diminishing $3.6 trillion stockpile of foreign reserves. While the Chinese devaluation is a warning of an impending serious crisis, the precarious US debt position has not bothered the markets. However the Black Monday intraday 1,000 point, decline as a result of worries about China, may be the beginning of that recognition. While the dollar is the keystone of the global monetary system, China’s growth and rising impact on emerging markets has resulted in a dramatic decline of cross-border transactions denominated in dollars to only 45 percent. 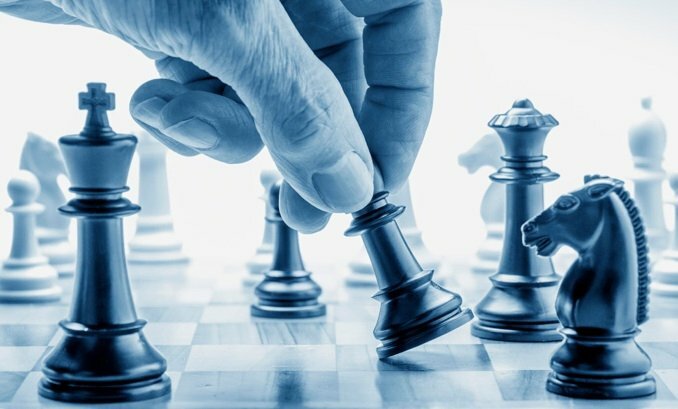 China’s position as the world’s largest trader, consumer, producer and importer has resulted in them laying the foundations for a Sino-centric financial system. China has lately been exercising their financial firepower underlining China’s ambitions to make the renminbi a key player in the global monetary architecture. China is the world’s second largest economy and the devaluation was a move to let market forces rather than “a fixed peg” decide levels. Toronto was the first in North America to have convertible swap facilities allowing direct access to the renminbi’s liquidity and a counter balance to the US dollar. China too has created alternative institutions to mirror Western organizations such as the Asian Infrastructure Investment Bank (AIIB), Asian Development Bank and set up free trade trading zones (FTZ). There is even talk of building a parallel institution to the IMF. The Silk Road plan, for example, is China’s version of the Marshall Plan. There’s also a strong belief of the need to build an alternative to the American financial hegemonic banking system, which clears the payments of the world allowing it to spread its tentacles worldwide. The dollar’s reserve position has been Washington’s primary weapon in the past couple decades. Every institution must use their clearing facilities and thus American law has become preeminent in the world of finance, extending well beyond US borders. Last year, American regulators have meted out over $100 billion of fines to banks, many of them international. The Dodd-Frank Act of 2010 gave the Fed huge powers giving it leverage over big international players. However, like most things the once “independent” system has become politicized and abused. America’s hegemony has allowed it to use this as a financial weapon, useful for imposing crippling sanctions on Iran, Iraq, Cuba and Russia and even closing tax havens in Switzerland and Cyprus. Tied to the US dollar for the past two decades, the renminbi has soared more than 20 percent since mid-2014 in sync with the greenback, hurting China’s economy and exports. Hence, a correction was long overdue. The RMB’s strength was made even worse against its Asian trading partners like Japan and Indonesia. No doubt, China views abandoning the dollar-peg as an assist to its exporters but a more practical reason is that a great many Chinese companies borrowed more than a trillion dollars offshore to avoid stringent domestic lending curbs. In defending the fixed dollar exchange rate by buying renminbi with its huge foreign exchange reserves, China shrinks its money supply. However a devaluation helps avoid a liquidity squeeze, keeping its money supply flush. China’s ambitions to make the renminbi a reserve currency would allow it to settle their international trade obligations with its own currency, making it easier for payments and investments beyond the control of the United States. At one time, Great Britain’s pound sterling was the world’s global reserve currency. Then Britain wrote its own trade of commerce rules. London was the centre of the world. However the World Wars sapped Britain’s financial strength paving the way for the emergence of the dollar as the replacement which saw the Fed act as the world’s central bank. Currencies, particularly the dollar were no longer backed by gold and the value was decided by the underlying confidence or faith in the currency. For almost half a century, this “faith-based” greenback has survived various booms and busts, until now. The main centre today is Beijing that now sells and lends dollars. Thus the International Monetary Fund’s (IMF) consideration to include China’s renminbi in the currency basket that makes ups its Special Drawing Rights (SDRs) is particularly important. China has been pushing for the renminbi’s inclusion as part of a move to internationalize the renminbi and make it acceptable as a global currency alongside the dollar, yen, euro and sterling. The decision however was rife with politics. The IMF reviews the currency composition every five years and the deferment for one year gives all parties time to renegotiate the renminbis’ entry. Politics again rules the day. The United States has quietly blocked China’s moves asking for additional reforms despite support from Germany and others. Against this backdrop, many point to the immaturity of China’s financial system and their needing a Chinese-style plunge protection team to prop up the Chinese stock market. Yet, we forget their efforts are similar to the policies amid the trading halts of 2008, like the TARP and ZIRP programs and the intervention of America’s regulators were a large part of the bailout of 2008. Just recently the New York Stock Exchange invoked “Rule 48” which altered their rules in the face of a big decline. The Hong Kong stock market Asian collapse in the nineties too was bailed out by the Hong Kong Authority and securities subsequently were sold at a profit. The wild card is that gold has a role as a protection against devaluation. Gold has moved up almost $100 an ounce since China’s devaluation and spiked further on the global rout in stock prices. Nonetheless, there remains “mainstream” skepticism over the “barbaric metal”, and gold’s role as an alternative to paper money. However, as long as everyone believes that it has some value, it has value. Today, that could not be said of the dollar. Without “trust” in the dollar, the world has no valid reserve currency. To be sure, under the new rules of engagement with the renminbi chipping away at the dollar’s status, there is no question that an alternative such as gold holds attraction. 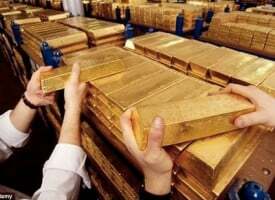 Gold is backed by thousands of years of history, universally held by all countries, and in fact is already a reserve currency, as part of the SDR basket. The languishing gold price tends to make us forget that gold is quietly emerging as the linchpin of a handful of initiatives in Europe, Asia and Middle East. 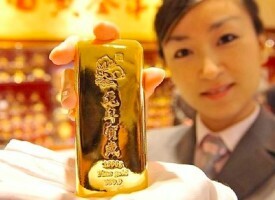 Russia and China continue to stockpile gold. 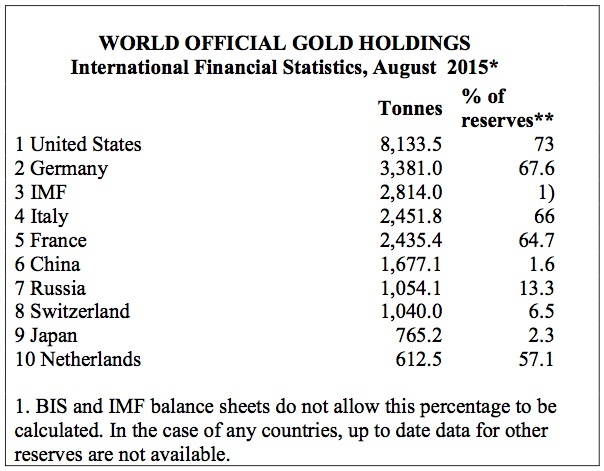 In Europe, Germany, amongst others, is repatriating their gold holdings. In the Middle East, wars are being fought, financed by gold. And most importantly, gold exists outside America’s purview. In redrawing the world’s financial system, China, the world’s largest gold consumer recently disclosed it boosted its gold reserves by 60 percent to 1,658 tonnes making it the fifth largest holder of gold after US, Germany, Italy and France. In July, China added another 19 tonnes as prices reached five year lows. We believe gold is an important part of China’s reserves, and while last month’s gold announcement was the first in six years, Chinese holdings are still less than 2 percent. China may be looking at ways to insulate itself from America’s profligate policies. Rather than peg the renminbi to the dollar, China might prefer to peg to gold, preferring it to the dollar as a store of value. Move over dollar, there’s a new sheriff in town. Over the past fifty years, when gold was freely traded, gold proved to be a good buy as a hedge when all looked bleak. In the seventies, gold moved up because of fears of inflation, doing better than stocks. In the eighties, stocks did better and gold went down. In the last three years, gold has been in decline while stocks have been going up. However, at a time when central banks have tried to foster growth by aggressively printing money and racking up public debt, gold has become an alternative investment to the dollar for central banks. Surprisingly in the bubble-like market environment created by zero interest rates and zero risk, there was not much investor anxiety. Further as the Greek negotiations unfolded, like the other time, the can was again kicked down the road, albeit with more debt. Noteworthy was that gold in euros was the best hedge during the turmoil in Greece. Year to date gold has actually outpaced markets. However, while everything looked rosy, the world changed. The Dow Jones recorded a 1,000 point decline after a “death cross”, Greece once again faces an election, the US dollar has peaked and of course China devalued. We believe that gold has bottomed as the dollar’s hegemony comes to an end in an Ashley Madison – like comeuppance. The Chinese devaluation underlines America’s weakened financial powers to such an extent that the US is now severely constrained in its ability to finance its debt at home and abroad. This time it took the shock of a drop in the value of the renminbi to remind investors of geopolitical risk. Gold is a hedge against devaluation. There is no coincidence that gold bottomed after the Chinese devaluation. We feel that gold’s positive fundamentals always remained. Today it is fashionable at dinner parties to talk of condo prices. Investors will soon talk of a weaker, not stronger dollar. That will be good for gold but bad for the dollar. When that happens and gold then becomes the topic du jour, it will be a sign of gold’s top. In the interim with so much fear lurking in the investing world, gold’s second up-leg has only just begun. For much of this year, clients have asked us, “why gold?”. The first reason is positive supply and demand fundamentals. There is less gold coming to market amid deepening geopolitical uncertainty. The second of course is the aforementioned worldwide currency debasement. The third is the lack of trust in markets, currency and the ability of central banks to manage our affairs. The fourth reason is that there is a growing distinction between paper gold and physical gold. Comex is the futures exchange where for every ounce of gold held for delivery in the warehouses, there are 124 paper ounces or claims against that ounce. If one wants physical gold they must line up and it is interesting to note that Comex physical deliveries are a mere fraction of what is delivered on the Shanghai Gold Exchange. We believe this dichotomy allows the bullion dealers the opportunity to manipulate the gold price through their algos and flash crashes. 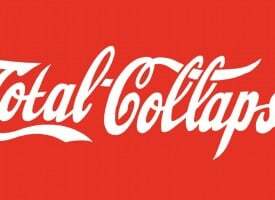 Simply, paper gold is someone else’s liabilities. Physical gold on the other hand is no one’s liability, has no counterparty risk, nor is subject to the shenanigans on the Comex market. For that reason, physical gold is desired by central banks and investors alike, subject only to supply and demand. The problem is that less gold or supply is being mined with Chinese demand increasing, acquiring physical metal as a store of value. As a result, we’ve been in backwardation for months. Taking that further, we believe that the gold miners’ in-situ gold reserves are the miners’ major asset. And when the inevitable squeeze between physical and paper comes, due to either questions about the bullion counterparties or in fact more demand for physical gold that can be supplied from the Comex warehouses, the price of gold will skyrocket. And the shares of course will be a leveraged way to play this. We thus believe that the shares represent real value here, particularly since the valuation of the market cap for in situ reserves are at record lows. We also believe that some sovereign funds will want access to the only unallocated gold in the world. Gold stocks are buys. For most technicians and chartists, Fibonacci’s measured moves are a useful indicator of direction. In August, gold retraced to $1,088, the Fibonacci 50 percent support level. The age old Fibonacci sequence retracement often, but not always occur at three levels: 38 percent, 50 percent and 62 percent. The 50 percent support level is usually key support and a level from which there is a tendency for a reversal after retracing half of the previous move. When gold bottomed in 2001, it took less than 2 months for the turnaround. This time the reversal was only days. In our view, gold is a buy technically and fundamentally, with a measured move to $2,000 an ounce. ***ALSO JUST RELEASED: Chaos In The Markets, The Dow Theory Sell Signal, Flash Crash And What People Should Expect Next CLICK HERE.